Three-legged race, a photo by The Bacher Family on Flickr. Every August, schedule permitting, we drive up to Bonney Lake to attend the annual Suter Family Reunion. These are the descendants of Joseph Suter, Kelli's great-grandfather, who came over to the United States from Switzerland in 1905. 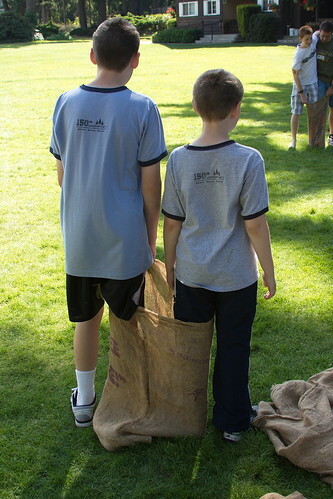 We have a big picnic at the private Swiss Park in Bonney Lake, and follow up with games for everyone, including the traditional sack race and three-legged race. 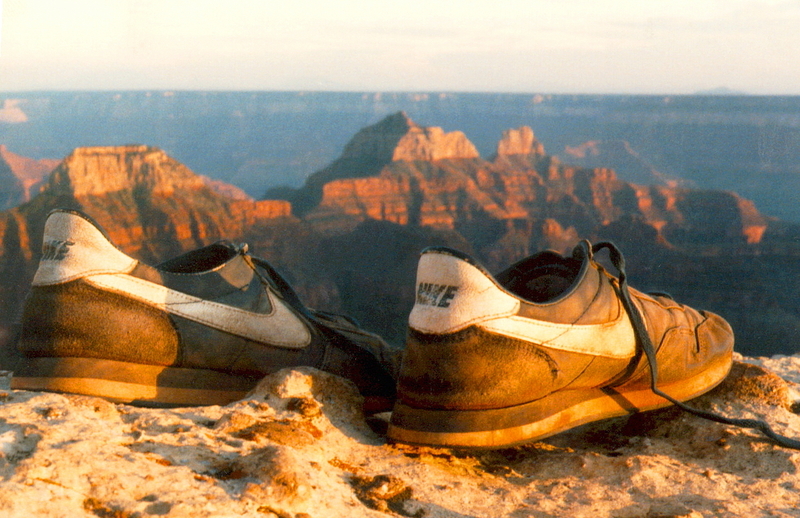 I captured this image of my two sons, David and Daniel, as they prepared to run their leg of the race. They look so similar, in their build, haircut, and stance, except for their sizes; for me, it makes a nice portrait of brothers.